The high, dry Painted Desert of northeastern Arizona doesn't seem like a proper country for prong-toothed sharks and throny-snouted fish. Nor does it seem a likely watering hole for phytosaurs, procolophonids, and other precursors of the dinosaur with similarly tongue-twisting names. But this is Petrified Forest National Park, during the Triassic period some 225 million years ago, when these and other strange creatures flourished. 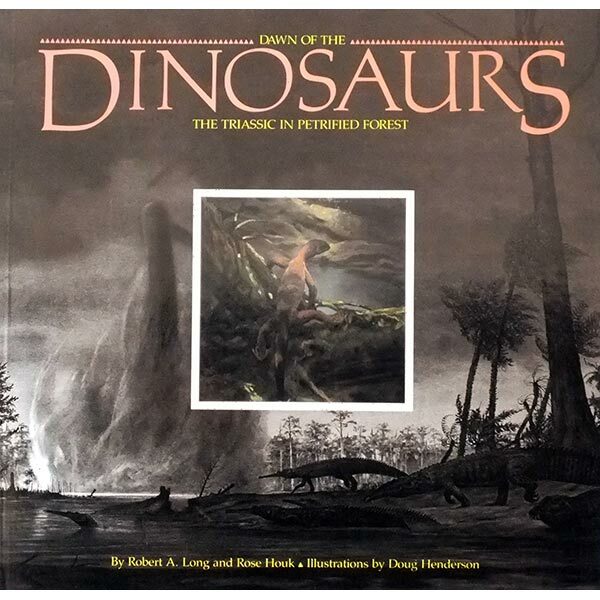 Dawn of the Dinosaurs: The Triassic in Petrified Forest is a trip through that long-ago period. Hauntingly beautiful illustrations evoke the primordial beauty of that ancient time, while the text explains the plants and animals in language that is informative and entertaining. This book offers a provocative glimpse into a distant age for readers of all ages.